I have to confess I became attracted to Cornwall when I watched the first Poldark series on PBS. The remake stirred up those feelings all over again. 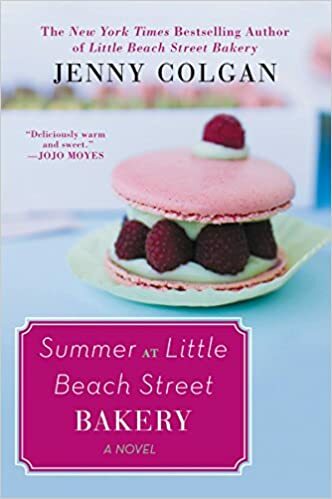 Jenny Colgan’s new book Summer at Little Beach Street Bakery is set off the Cornish coast, so that was point one in its favor. Point two is that the story actually takes place on an island that can be reached by a causeway only at low tide. I live on an island off the coast of Florida, but fortunately you can get here via a bridge. Point three, of course, is the word bakery in the title. I am also quite fond of books set in small towns, and this one is particularly charming. The townsfolk are quirky. The spunky, artisan-bread-making heroine lives in a lighthouse and has a pet sea bird . And an appealing boyfriend who would rather tend to beehives than make a fortune in corporate America. It’s veddy, veddy British, so even the slang is fun. When Mother Nature throws a spanner into the works, the scenes that follow are riveting. As we know here in Florida, living on an island can sometimes make heavy demands. It is heartwarming to read about how this brings a community together. Well done.